Honduras are set to face a tough clash against New Zealand in the second round of game at the on-going Under-20 World Cup. Honduras were humbled by one of the tournament favourites France in the first gamewhich ended 3-0. They need to turn the tide against them when they play the New Zealand side else risk going out early. New Zealand on the other hand played a barren draw with the other group member Vietnam in the opening game. Darren Bazeley and his boys would need to see off the CONCACAF side or else they would put their continued stay in the tournament at risk. If they fail to get the result against Honduras they would have to defeat France to maintain the chance of going through. Bazeley says the team is expecting another tough clash with Honduras following their Vietnam clash. Playing less fancied sides in that level can be difficult and the coach knows. “They had a tough day playing against the favourites France but Honduras are a very good team. They need to come out and get a win so we know it’s going to be hard,” Bazeley acknowledged. Bazeley showed that they have done their homework regarding their opponents. They said they have seen a lot of their qualifying and build up games so they hope to put on a good performance to get the result they need. In 2015, the New Zealand side made the knockout stage of the Under-20 World Cup for the first time. It was on home soil but the current team are hoping to at least replicate such again. 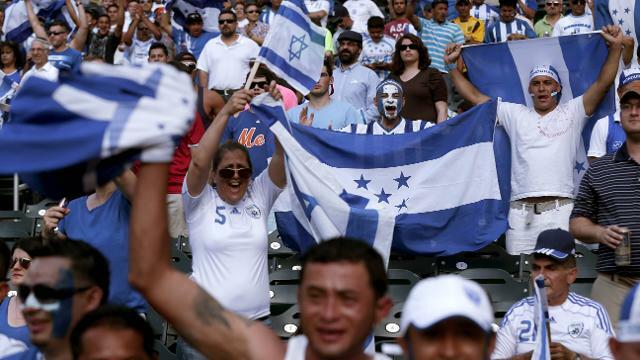 Honduras has a strong history in the age grade tourney. They have made 16 appearances at the youth championship so they know how things play out. However, they rarely excel at the tournament itself. In the last edition, they were knocked out in the group stage after losing 4-3 to Uzbekistan, 3-0 to Fiji and 5-1 to Germany. They are keen on doing better this time.